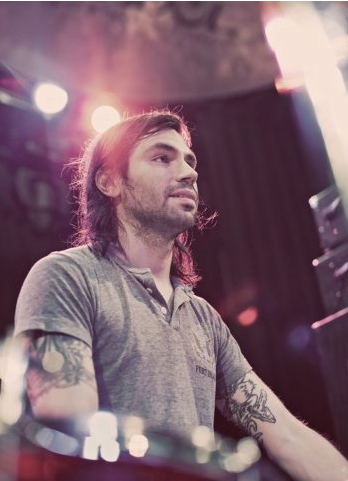 This month we got a chance to catch up with Russian Circles drummer and Istanbul Agop artist Dave Turncrantz. Russian Circles are hitting the road this summer and fall, if they stop near you, check them out, you won’t regret it. Their new record Guidance drops August 5th, 2016, you can check out a preview here. Dave is an incredible drummer, and a great guy; we’re happy he’s part of the Agop family. A: Does being an instrumental band influence the way you write drum parts? DT: I think being an instrumental band makes everything more exposed and it makes me try to do things a little more musically. There are only three of us in the band so everyone needs to pull their weight to make things interesting live and in the studio. I think the hardest part of being an instrumental band is filling out the empty spaces a singer would normally fill up or another guitar player. Luckily for me, I play with two amazing musicians that have a good ear and are great at layering to fill everything out. A: What was the process like working on Guidance? DT: The process we use for writing every Russian Circles record has always started with just drums and guitar. Our guitarist Mike Sullivan and I will go through a number of guitar riffs he’s been working on and once we both agree on something will start from there. Once we get a structure we both are happy with, Brian comes in and we start to form the riffs into a song. Its been a process that has worked on the last five records and its nice to get a different view of the song once Brian comes in with the Bass. A: What were you listening to while prepping for Guidance? Did anything really inspire you or shape your writing? DT: While writing Guidance I was pretty obsessed with a Chicago band called Dissapears. The drummer Noah is an absolute beast and a pleasure to watch live. Noah definitely plays in the pocket and made me want to do the same with the new Russian Circles record. I always try to overthink things and the older I get the more I'd rather hear a simple groove done well over a double kick tom solo. The new Chelsea Wolfe Abyss was also another inspiring record for me before recording. A: Russian Circles has such a great energy, how do you keep that up night after night when doing such big tours? Do you think its more difficult keeping that up as an instrumental band? DT: I've been finding out that the older I get the more my body hates me haha. I think the instrumental part doesn't make it harder its the being a three piece and the loading in and out along with long drives every day. It doesn't help when all of our gear weights a million pounds too haha. We have been touring smart not hard lately and it really makes being on the road so much more enjoyable. Instead of touring for a straight six weeks we have been taking breaks in between. Like on our next USA tour we are doing two 2 and a half week tours with a two week break in between. Really helps the body heal and makes for a more enjoyable show too. A: What cymbals did you use on the new record? I used Istanbul XIST traditional finish cymbals on majority of the record. 15" XIST hi hats, 22" XIST ride as my left side crash, 24" XIST ride as my right side crash and a 24" XIST ride as my main ride. I always try to experiment with other styles of Istanbul Agop cymbals and it always comes back to the XIST series. They’re super versatile and the warmth they have makes them my number one choice. A: What is your favorite track on the new record and why? DT: I think my favorite track on the new record is “Vorel.” It’s that one song that just clicked from the beginning. We always have one of those songs on every record that just happens with very little effort on our part. Everything just happened at one or two practices and that doesn't happen too often. News readers can understood our university blogs https://www.pinterest.com/edussonservice/ provided concepts. Every blog is needed our guidance to make more essay reviews.